Math-rock enthusiasts Future Horizons have been knocking around the North East scene for a little while now, but it’s not till lately that they’ve shown how much of a brute force they can be. Guitars attack each other in the fiery, technical battles of recent single ‘Yoshimitsu,’ before dropping into spacious post rock soundscapes of the most ear-tingling kind. With a UK tour supporting Glasgow’s Donnie Willow in the in the bag and another in the pipeline, the band have established themselves as an exciting local export and a one to watch in the coming months. After getting their single ‘Totem’ spun by the likes of Huw Stephens back in February and releasing their latest single ‘Blood Orange’ into the blogosphere to positive response, it’s fair to say PLAZA are pushing all the right buttons. They’ve been hard at work over the past year, playing various venues across the North as well as venturing further south with the likes of Chesterfield’s TRASH. They’re an angsty indie bunch, with some brilliantly diverse tunes to boot. Conjuring up bright, daydream indie with a post rock punch seems like second nature to PLAZA, a band that are looking stronger with each release. The lads have recently been back in the studio and are about to drop some brand new material which will no doubt be something to behold. 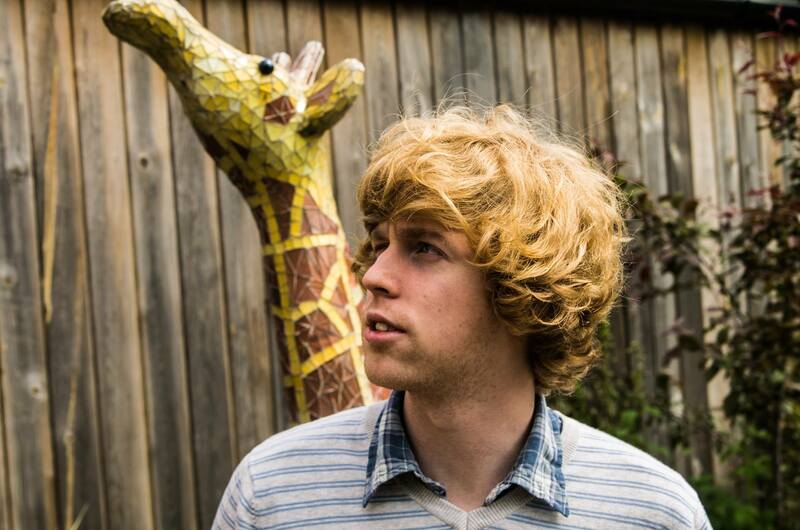 More of a solo act than a band, James Leonard Hewitson plays music that he describes as “Pavement but not as good.” It’s not the most accurate description of his music, though, which is full of clever lyrical quips and solid slacker rock hooks. Hewitson has recently started up his own label/promotion company and is putting on a ton of gigs in Hartlepool, but it won’t be long before he extends his reach a lot further afield. His self-depreciative and funny demeanour is a genius guise for an artist who takes his trade seriously. Debut tracks like ‘Dream Person’ and ‘Care Less, Love Less’ have been doing the rounds on blogs and both show an artist full of ambition and talent, with a bright future. With some very strong releases already under their belt, including an online premiere for their single ‘I Get Mine’ by one of the biggest blogs around, it’s all looking up for indie shoegazers Para Alta. ‘I Get Mine’ is awash with the kind of shimmering guitars mastered by the Cheatahs and Splashh and provide catchy chorus’ and winding guitar hooks aplenty. With new material set for release, expect the Hartlepool five-piece to be popping up on your new music radar very soon. All-female band Armpit & The Glitterbabies are all about the live experience. Since meeting at Sixth Form College, the young band have played a handful of well-received gigs throughout their hometown and released their first single, in a matter of months. Heavily influenced by America’s femme-punk Riot Grrrl movement of the 90s, the young band are looking to send a message as well as forge some great music. Things are moving fast for the five-piece and they offer something a little more lyrically engaging, allowing them to stand out from some of their more sonically-driven peers.